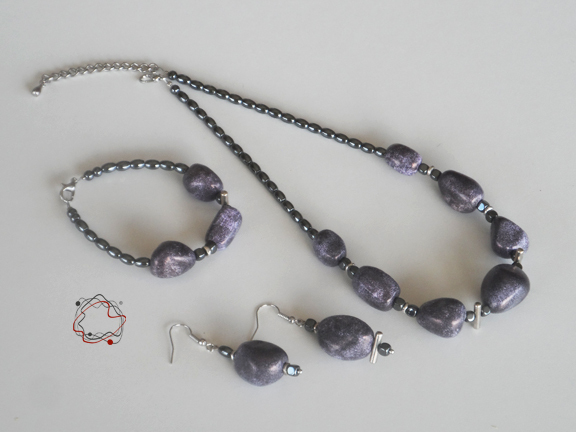 Necklace, Bracelet & Earring set with "12" unique purple handmade beads & hematite. 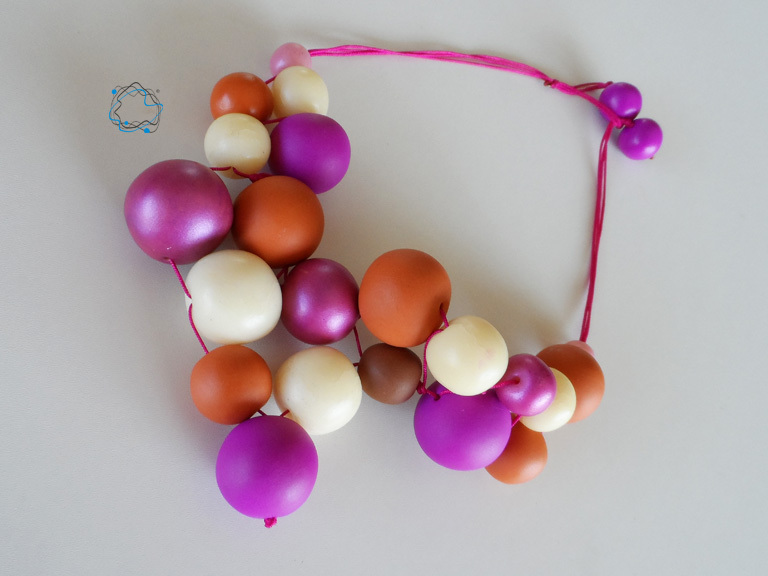 Ecrou, caramel and fuchsia necklace, with "23" handmade beads. 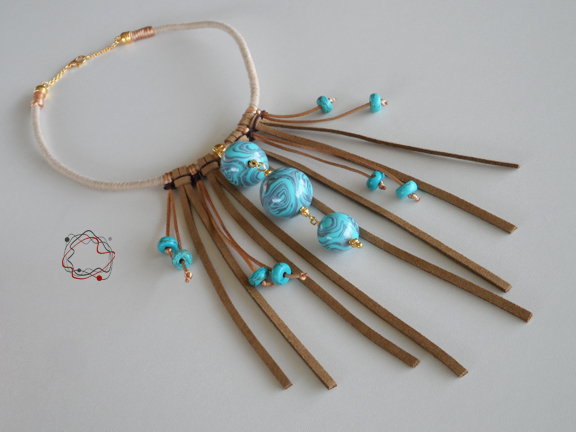 Boho Necklace with Stone Handmade Beads, Crystals & Hand. 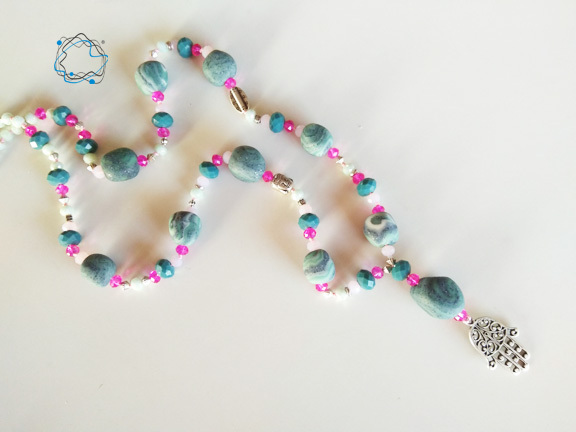 Boho necklace with "10" stone handmade beads, crystals and boho hand. 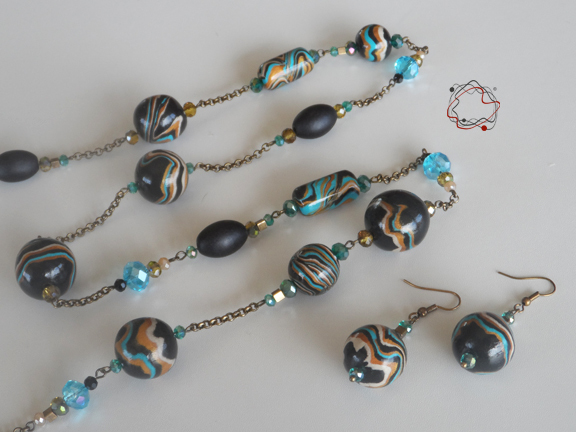 Necklace and earring set with "11" black, gold and cyan handmade beads, chain and crystals. 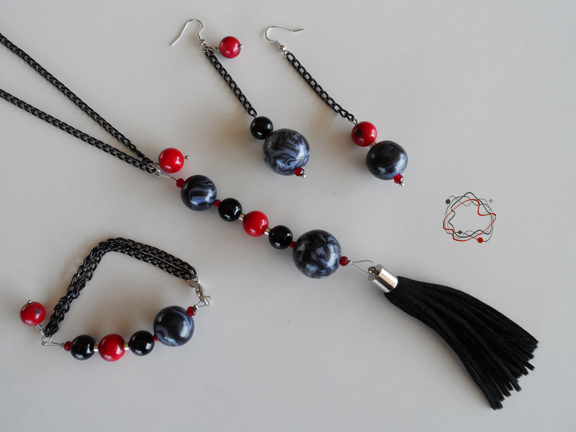 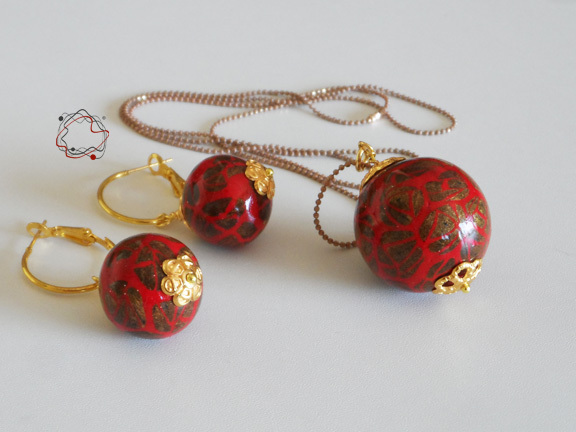 Red Coral and "5" Black Handmade Beds Set with Necklace, Bracelet and Earrings. 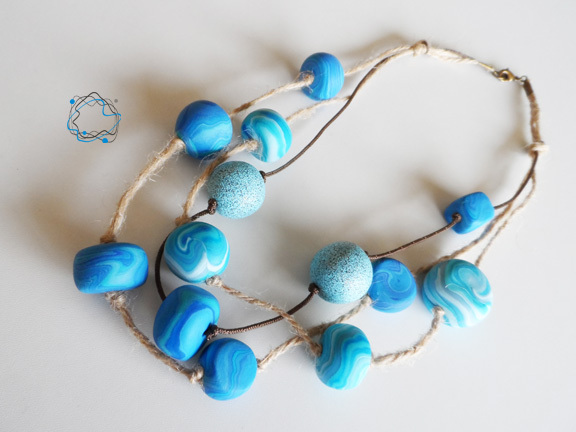 Suede, cord, turquoise and "3" handmade beads necklace. 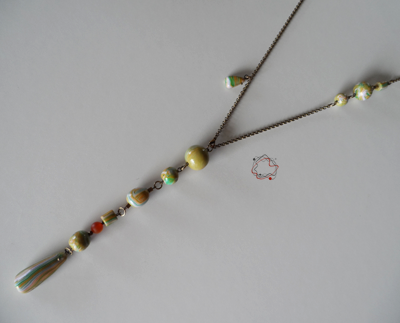 Long necklace with handmade and ceramic beads in brown, ochre, purple and green colours. 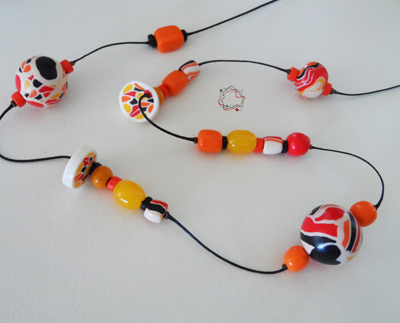 With "15" unique handmade beads with happy colors.This jewel is unique! 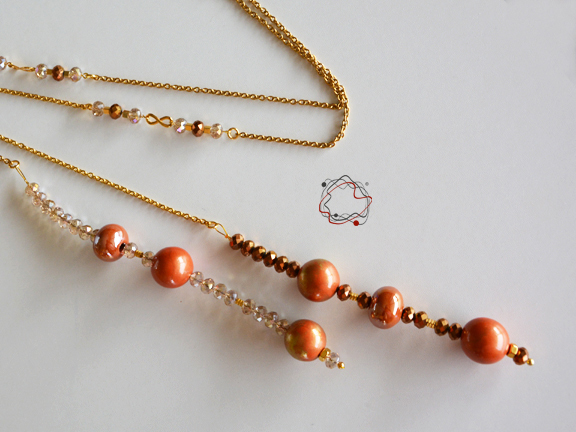 Ribbon Necklace in salmon, purple and golden colours with handmade beads and tassel. 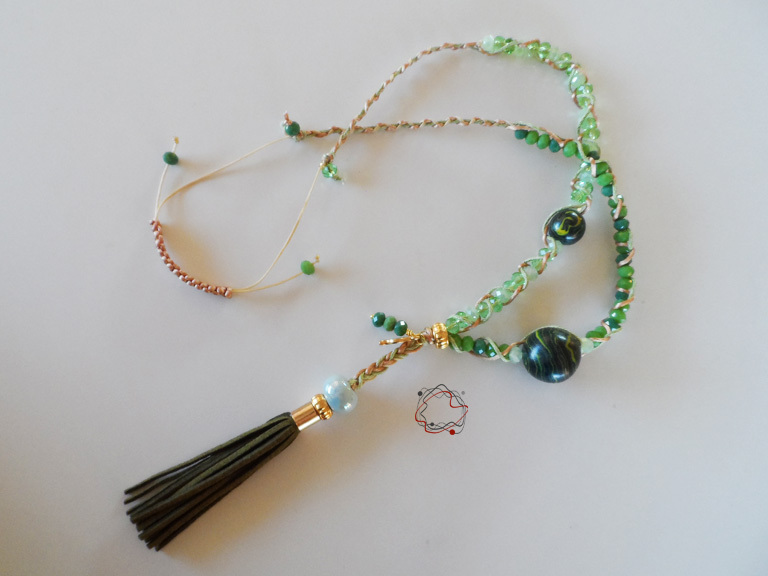 Green neclace with crystals, green suede tassel & "2" handmade beads. 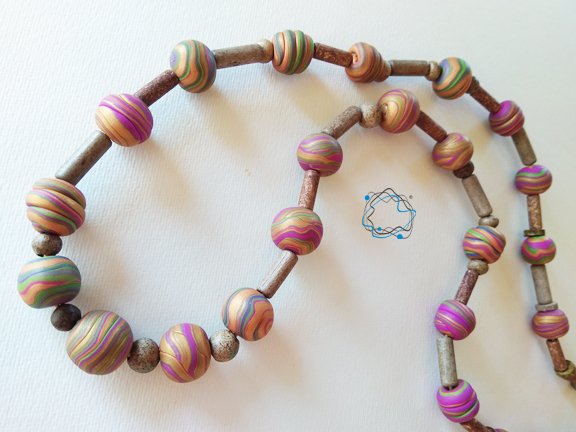 Water coloured necklace with "13" Handmade beads. 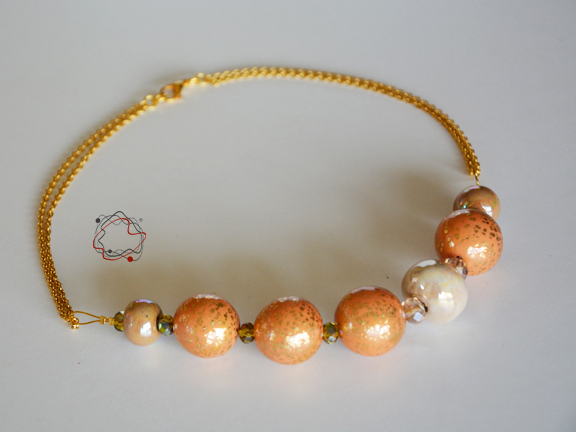 With "10" unique handmade beads with bronze chain. 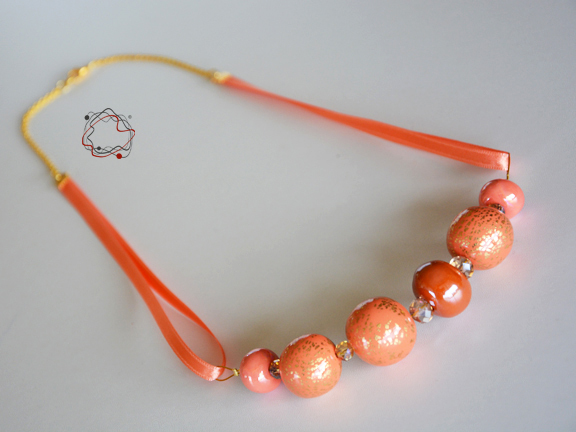 Ribbon necklace with ceramic and "3" salmon golden handmade beads.